Hello. 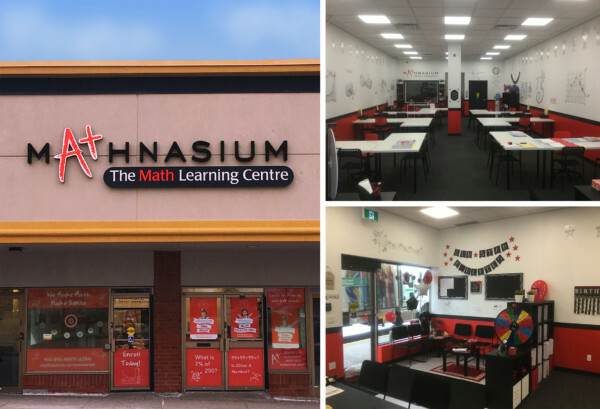 We are Mariaelisa and Karl Kirec, Centre Directors of Mathnasium of Newmarket, your neighbourhood math-only learning centre. We help kids in grades 1-12 understand math by teaching the way that makes sense to them. This centre is now open! Contact us for a Free Assessment! Mathnasium has been such a great experiences for my two boys. They really enjoyed the program, and their math understanding has grown by leads and bounds. One thing that I really like about the program is that it encourages kids to do their work independently. The kids are encouraged not to rely on tutors to get their work done, which has really increased their confidence and independence when it comes to math homework. My daughter feels like her time is very well spent here. She enjoys going to Mathnasium! This was not the case with other math tutors. I like knowing she is getting the expert help she needs , and that she is working on her foundational skills. We also like the way they make going there fun, with the contests and motivational rewards. The staff are very helpful and friendly. 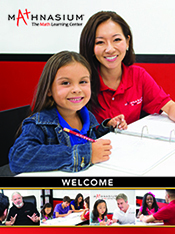 They have made it fun and an enjoyable experience for my son to learn math! He is gaining confidence in himself and his abilities. I registered my son for the summer sessions. He found the environment great, the staff helpful and he is becoming more confident with his math skills. I love the drop in option and the hours. I do not feel comfortable signing on for 6 months at a time due to the fact that our schedules and lives and needs are so ever changing. I wish they had a 10 session package I could by at a time which I would not think about twice. The instructors are all very patient and very knowledgable. They do a wonderful job and have really helped our daughter. We trust the instructors, they are very knowledgeable and our son feels comfortable going and learning. He looks forward to going and that is the best way to learn. Mathnasium Learning Cetnres Ranked No. 1 on Franchise Gator's List of "Top 100 Franchises of 2019"